The economic downturn is still hitting younger Americans with high unemployment and low income, preventing them from buying cars at the rate of previous generations. Today's young people are buying fewer cars than those from previous generations. 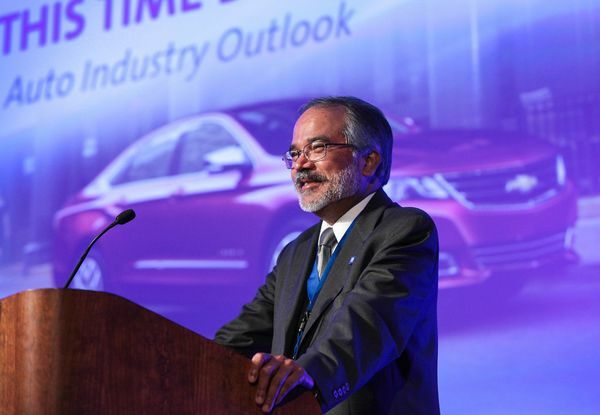 In a video released by GM on Tuesday, General Motors Chief Economist Mustafa Mohatarem attributed the slowdown in car purchasing to temporary economic causes rather than a permanent shift in demographics. The issues, according to Mohatarem, are new car affordability, the overhang of student loan debt and higher operating costs. However the economic recovery is proceeding well, and he expects car sales to pick up over time. “It’s not a permanent withdraw from the market, it’s more of a delay,” said Mohatarem. As a response to the slowdown in car sales, GM and other manufacturers are unveiling cars that are of more interest to young car buyers. These cars are perhaps smaller, better suited to urban environments, and are less expensive. In GM's product line-up this includes the Chevy Spark, the Sonic subcompact and the Cruze small car. Even the Chevy Spark EV can be included in this list, because young people are also strongly interested in environmental issues. There are signs out there that young people are shifting their buying patterns for other reasons than pure economics. Mohatarem does admit that while the overall automobile market is improving, young people are not participating as much. He claims there may be something to the theory that young people are more focused on connecting with friends through Facebook, than driving to meet them, but that we don't have enough data to definitively make that conclusion. Instead what Mohatarem see's is that the unemployment rate among the youngest age groups remain very high, and they simply don't have the income to support buying or owning a car. At the same time the cost of owning a car is going up. The purchase cost for cars is rising because of increases in safety and emissions equipment. Operational cost is also rising quickly, thanks to high insurance costs, especially for the young, and the inability to get car loans. Mohatarem did not discuss the rising cost for fuel.